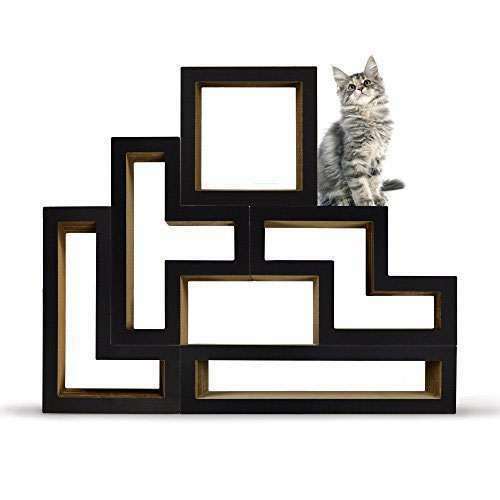 Even though they're made of paper these Tetriminos are each strong enough to support up to 300 pounds of cats climbing, scratching, sleeping, and getting up to no good. 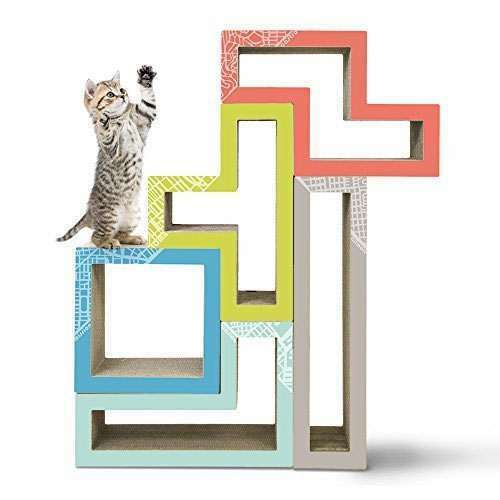 Just don't use the modules to make a tree that aligns perfectly at the top, or when Jasper jumps on it, it will disappear. Katris cat trees come in 5-Tetrimino sets, one each of the following famous 8-bit shapes: I; L; O; T & Z. 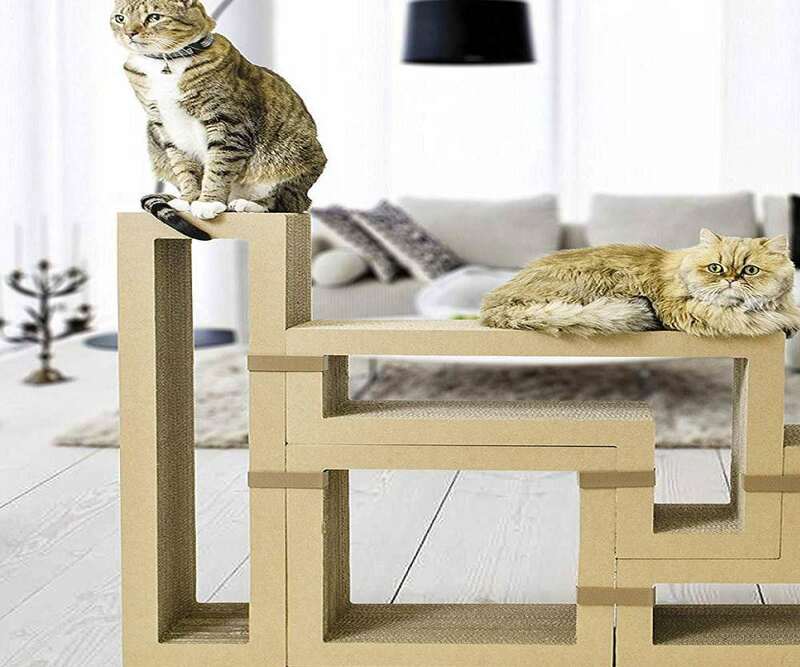 In addition to letting your cat climb around and scratch on it, you can also configure the tree to use as a bookshelf or coffee table for yourself. Tetriminos are secured together with clips, and the package comes with 5 of them. It also comes with 5 bags of natural catnip. 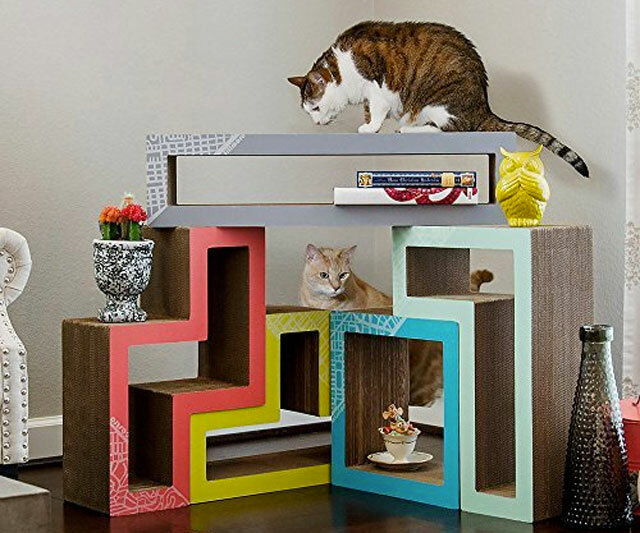 Katris makes their modern and subtly geeky cat trees in Mono (Black or White), Wood (Teak or Maple), and City (colorful San Francisco) collections.